Katey Steele, Suzie DeMarchi and Sarah McLeod. Now add Sophie Hopes to that list because she truly deserves to be listed amongst Australia’s top female rock vocalists. 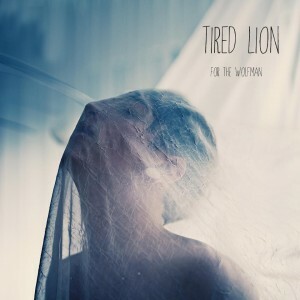 It seems every year another great band comes out of Perth and that trend is set to continue with the arrival of Tired Lion who have just delivered a brilliant two-track single (and you thought the single was dead!!!) titled ‘For The Wolfman’. This is a single that deserves radio play straight away. The title track, ‘For The Wolfman’ is a sensational piece of Aussie rock music, it kind of sounds like Little Birdy but with a lot more grunt. Then thrown in on top of that is ‘Bright Eyes’, a catchier track that just makes you hope that Tired Lion delivers an EP or album sometime soon. Get on board Tired Lion people, because they are one amazing sounding band.